That's Preventing Drugs & Surgery! Results In 1 Treatment Or We Don't Take You On As A Patient. Book Your Consultation & Comprehensive Assessment Today. I visited the office of Dr. Shaker today and got my first treatment. My two main problems are my right wrist and my back.... read more 13 years ago I got into a terrible car accident that changed my whole life, I used to be in gymnastics & due to this car accident and all the other doctors that ONLY wanted me to get surgery I couldn't continue practicing gymnastics. It's unbelievable with only one treatment of chiropractic and one treatment of Trigenics I feel like a new person. On my wrist, I couldn't tilt all the way only half and I had pain all the time. I highly recommend Dr. Shakers he's AWESOME! I've gone to other Chiropraticor who promised me to line up my back again, and it never happened. Dr. Shaker change my life I will continue getting my treatment from him for my wrist and my back. I can go back to the gym feeling brand new. I wish I would of meet you before. Dr. Shaker is an awesome chiropractor. He not only fixed the pain in my back, he addressed the stiffness in my shoulder and my... read more knee. 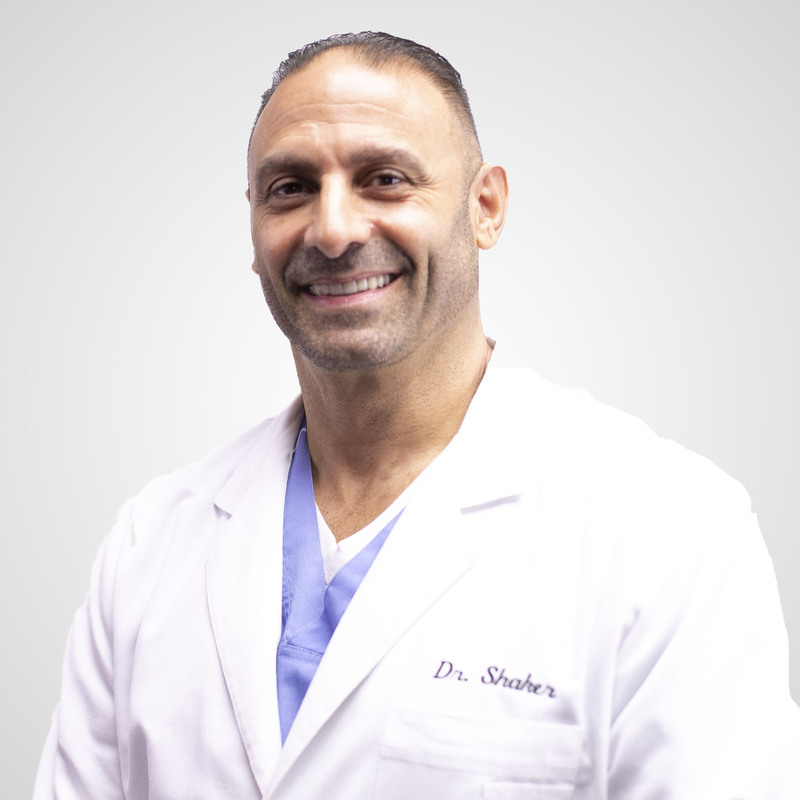 Dr. Shaker has completely changed my life! Ive always had severe neck and back pain after being in multiple car accident and not getting the... read more correct treatment. However after his magical hands and Trigenics treatments my neck and honestly complete body feels brand spanking new!! I like to go back to see him for tune ups every few weeks to spoil myself!! But this man truly has changed my life function and productivity. Great experience. Dr. Shaker is genuinely concerned about his patience health. Gentle adjustments with amazing results. I visited the office of Dr. Shaker today and got my first treatment. My two main problems are my... read more right wrist and my back. 13 years ago I got into a terrible car accident that changed my whole life, I used to be in gymnastics & due to this car accident and all the other doctors that ONLY wanted me to get surgery I couldn't continue practicing gymnastics. It's unbelievable with only one treatment of chiropractic and one treatment of Trigenics I feel like a new person. On my wrist, I couldn't tilt all the way only half and I had pain all the time. I highly recommend Dr. Shakers he's AWESOME! I've gone to other Chiropraticor who promised me to line up my back again, and it never happened. Dr. Shaker change my life I will continue getting my treatment from him for my wrist and my back. I can go back to the gym feeling brand new. I wish I would of meet you before. Dr. Shaker is an awesome chiropractor. He not only fixed the pain in my back, he addressed the stiffness... read more in my shoulder and my knee. We've helped chronic severe joint pain sufferers who have tried everything, nothing has helped, and whose only alternative was risky joint surgery. Due to the results that we're able to achieve through our Exclusive Non-Surgical Procedure, our clinic is recognized as Florida's leading authority in the non-surgical treatment of severe cases of joint pain. It's Time To Live Again Without The Pain! Find Out If You Qualify For Our Treatment! Complete the Information Below or Call (813) 876-9552.